Visit here my new extensive image Gallery! 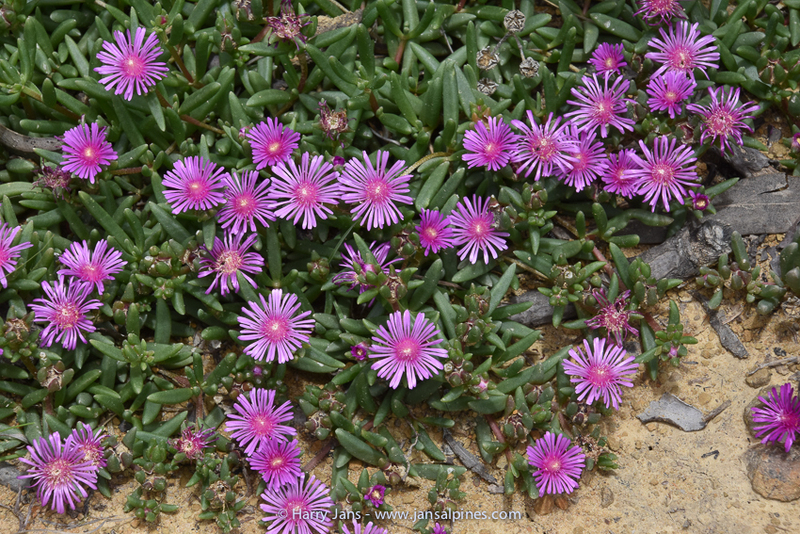 Over 26.000 plant images, with detailed information. 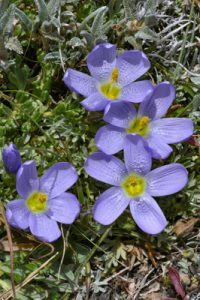 Search by continent, country, plant species, etc. My name is Harry Jans. 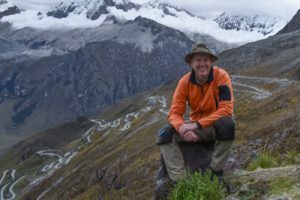 I was born in 1957 and have been living in Loenen (altitude: 27m / 70ft. above sea level) near Apeldoorn in the Netherlands, since 1986. I’m married to Hannie and have two children, Nathalie and Mischa. 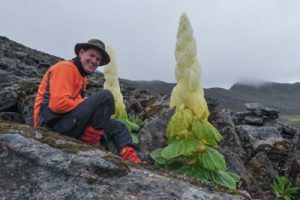 None of my family members are rock garden fans, but fortunately they all like hiking in the mountains as they do like plants in their natural environment. 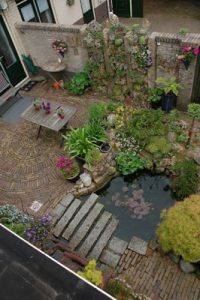 I studied Garden Design & Maintenance, but have been employed since 1982 by the Dutch Ministry of Infrastructure and Environment. My current job is Specialist Wintermaintenance. Through the contacts with members of this society and other clubs, it became possible to exchange information and experiences. I have been learning a lot from various specialists in their particular fields of interest. This exchange is crucial if you are dedicated to your hobby. Not only is it fun, but it also becomes possible to trade rare plants and thus build a plant collection. 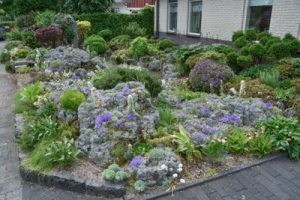 The Dutch Rock Garden Society (“Nederlandse Rotsplanten Vereniging” (N.R.V.) was founded on September 21, 1985. At its inception, the group numbered about 40 members, but now there are approximately 700. These members are not exclusively Dutch, but also Belgian, German, Danish etc. I am a founded member and was president from 2000-2006 for this very active society. My garden is constructed in a varied way (see IMAGES , GALLERY, MY GARDEN). One can acquire many ideas through garden visits, both at home and especially abroad. Here and there I have incorporated some of these ideas in my own way in the garden and alpine house. 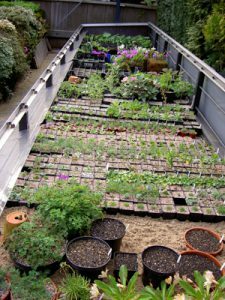 In my garden I have one large alpine house, partly sunk into the ground, and one small aluminum frame house, which is being used as my workshop (propagating, sowing, potting up, storage of potting soil, gravel etc.) In the large house plants are located in a plunge and in tufa wall. In the backyard, in addition to the alpine houses, I built a cold frame for raising plants. This cold frame is covered by corrugated panels (16 mm or 5/8”) which run on rollers. The front and backside of the frame can be opened or closed by a kind of louvered ventilation system. The rock garden itself has been built out of tufa, both in the front as well as in the back yard. I selected these tufa stones myself in a quarry abroad and imported them. Especially in the front yard, which was redone in 2003, some very large chunks of tufa, weighing about 1.5 tons each, have been incorporated. 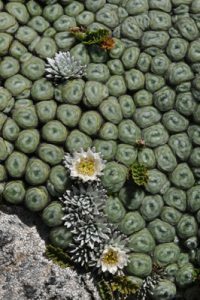 Holes have been drilled into the tufa and many alpine plants, which normally grow at high elevations, have been given their homes here. A small stream, along which a variety of orchids grow, runs through the rock garden. There are also some walls made out of peat blocks, creating peat beds. 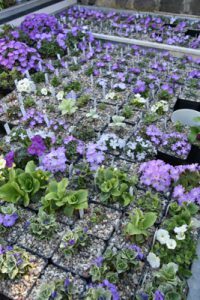 In these blocks and beds it is possible to keep some totally different plants. 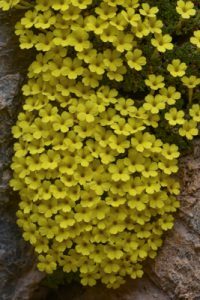 These can often, however, be included as alpines. 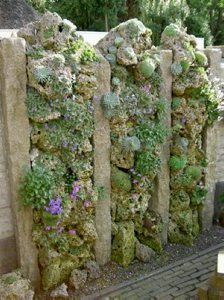 A free standing tufa-wall has been created from vertically placed granite curb stones, in between which I stacked chunks of tufa to which I then added plants. 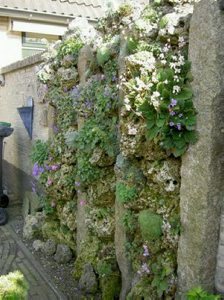 In this wall one finds very unusual and difficult to grow plants. 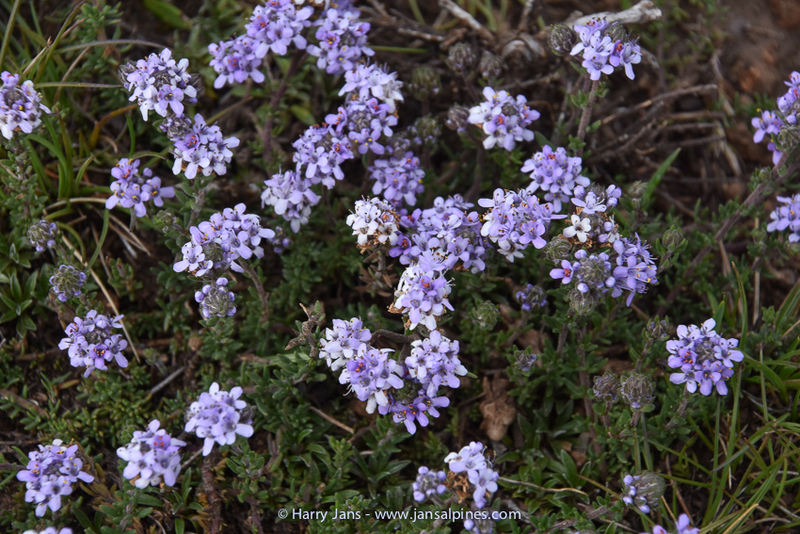 Truly one of its eye catchers is Jancaea heldreichii, which self-sows spontaneously in the wall. 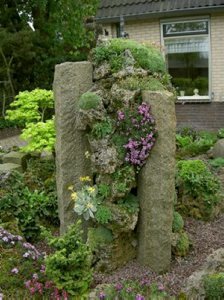 In the front yard sits a kind of tufa-column. It has been constructed out of 3 bars of granite curb stones which are placed about 40 cm (13”) apart in triangular fashion. In this column chunks of tufa have been stacked and planted as well. Of course everyone has favorite plants. This could be just one genus or a variety of them or even a multitude of varieties. The longer one is involved in gardening, the harder the choices become! To see plants in their natural habitat is a luxury not everyone can afford. 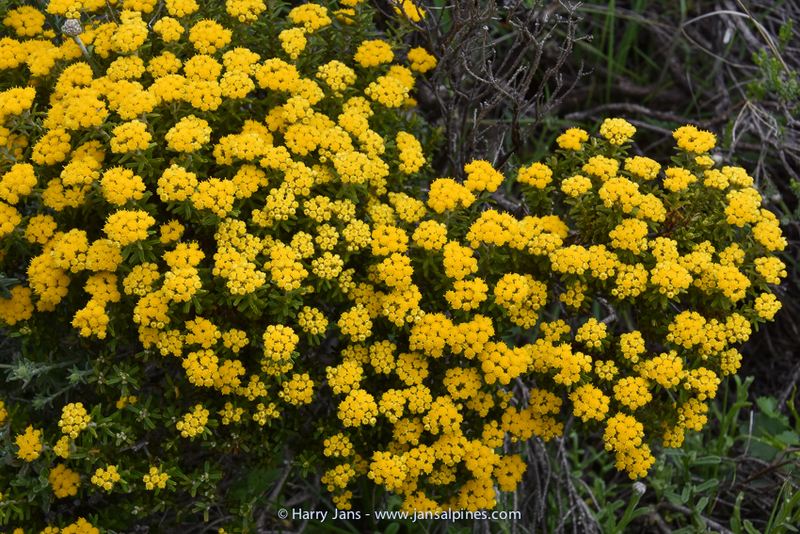 Fortunately I have been able to see and photograph plants in their wild habitat – not only in Europe, but also in Asia, Africa, the Middle East, North- & South America, New Zealand, Australia & Tasmania. 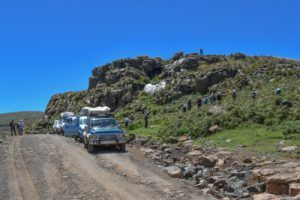 I have been a member of 3 plant expeditions organized by AGS to China (2x) and Iran (1x). In addition to the many slides/digital images taken during my various expeditions and travels, (see Extensive Photo Gallery) since 1998 I have also made digital videos. (look at DVD for sample) These I rework on the computer adding plant names, transitions and music. Apart from these journeys I regularly travel to lecture both at home and abroad. Contact me for more information (also if you want to make use of my images).